Wayne Gerard Trotman is a British award-winning writer, filmmaker, artist, photographer, composer and producer of electronic music. Born in the Republic of Trinidad and Tobago, he immigrated to England in 1984 where he studied art and design at to the Heatherley School of Fine Art in Chelsea, London. In 1985, his work was chosen for the London Youth Festival Exhibition. 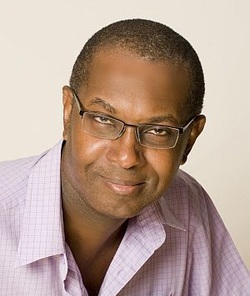 Between the late 1980's and mid 1990's, Trotman produced compositions for British Sky Broadcasting (BSkyB); as well as low budget independent film productions. He completed his second feature film script entitled ‘Ashes to Ashes’ in 1994; and in 1995, his short film – ‘London: Metropolis of the Future’ premiered at the British Short Film Festival. Trotman, who is trained in several martial arts disciplines, directed, co-produced, scored and edited the British independent film Ashes to Ashes in 1998 - arguably the world’s first digital feature film and Britain’s first martial arts movie. He also played the film’s lead role of Gabriel Darbeaux and used real martial arts weapons including the nunchaku or two-piece rod. In 2006, Trotman co-produced a training DVD, which tackles the cause of anxiety and panic attacks: The Fight or Flight Response. Shortly after the birth of his second son, he embarked on what would become a 3-year labour of love - writing 'Veterans of the Psychic Wars'. This stand-alone epic novel pays homage to his lifelong love of science fiction, and is lovingly dedicated to his mother and her sister. As with all his work, 'Veterans of the Psychic Wars' offers a multicultural experience. It contains words, names and phrases from over 24 languages including Ancient Egyptian, Sumerian, Armenian, Sanskrit, Hebrew and Swahili. This is complemented by references to ancient history, myth and religion, and supplemented by appendices and an extensive 8-page glossary of terms. Trotman also runs the award-winning blog: Red Moon Chronicle for which he has interviewed some of the biggest names in science fiction and fantasy, including Syd Mead, John Howe, Robert J. Sawyer, Fred Gambino and Kevin J. Anderson. Thought is more dangerous than you think...Roman Doyle has been living a normal life as a married 25-year-old schoolteacher. When five large men attack him, he’s confident in his ability to defend himself. But, this isn’t an ordinary mugging. Roman doesn’t know that he is Prince Sakara, heir apparent of the True Emperor of a distant galaxy and his muggers are agents, sent to kill him. Roman’s life is saved by Chi-Ro Jin, a Veteran of the Psychic Wars. Chi-Ro’s mission is to secure Roman’s help in an interstellar battle between the forces of his father, the Emperor, and those of his uncle, the Baron. Chi-Ro injects Roman with an alien drug that awakens Roman’s dormant psychic and astral abilities and he discovers a shocking alien plot that threatens humanity. Will Roman be able to overcome his fears, master the martial art of Hatari Ikou, and learn the secrets of astral projection? Follow this epic journey to the Cosmic Sea where Roman faces evil and danger in uncharted space, as he attempts to rescue his wife, retrieve the sword of power, and end the Second Psychic Wars. "This is a great book! The actions starts in the first paragraph and doesn’t stop until the last with no slowing down." ~ Tony-Paul ('A Splash of Scarlet' Blog). "‘Star Wars’ meets ‘Crouching Tiger, Hidden Dragon’ is a fine description of Veterans of the Psychic Wars, as long as you realize that the hero isn’t a wimp like Luke Skywalker and that the amazing warriors of Crouching Tiger would be toast before this story hits its stride." ~ Clayton Clifford Bye (Professional Reviewer). "I highly recommend this book if you are a Sci-fi lover for it has everything you are looking for; Star Wars meets Enter the Dragon. Be prepared to be hanging off the edge of your seat wanting more." ~ Rayven ('Darkiss Reads' Blog). Legends are immortal dreams made flesh…Kaya Abaniah believes he’s an ordinary fourteen-year-old college student. He lives with his mother on the Caribbean island of Trinidad; he’s passionate about wildlife conservation and has a crush on the prettiest girl in his class. However, one fateful day, Kaya’s life is changed forever when he encounters Papa Bois, a folklore character similar to the Greek god, Pan. Kaya Abaniah (Kah-yuh Abba-na-yuh) is a boy's name. 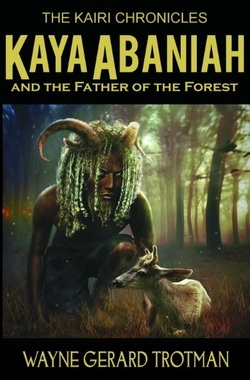 Kaya Abaniah and the Father of the Forest is a unique story, set in the Republic of Trinidad and Tobago. In this two-island Caribbean nation, inhabited primarily by people of African and Indian descent, Trinidadian English is the official spoken language, and Standard English is the official written language. However, Kaya speaks authentic Trinidadian Creole, which is similar, but distinct from Tobagonian Creole. Trinbagonians (Trinidadians and Tobagonians) use Creole in spontaneous conversation, while Trinidadian English is often reserved for more formal speech. Various combinations of English, Trinidadian English, and Creole are not uncommon. Wayne Gerard Trotman is a Trinidadian British writer, blogger, filmmaker, artist, photographer, composer and producer of electronic music. Born in the Republic of Trinidad and Tobago, Trotman immigrated to England in 1984, where he lives with his wife and two sons. 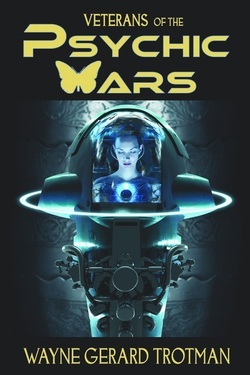 "The author takes a medley of science fiction tropes, from aliens and spaceships to telepathy and artificial intelligence and creates an epic, universe-building tale."